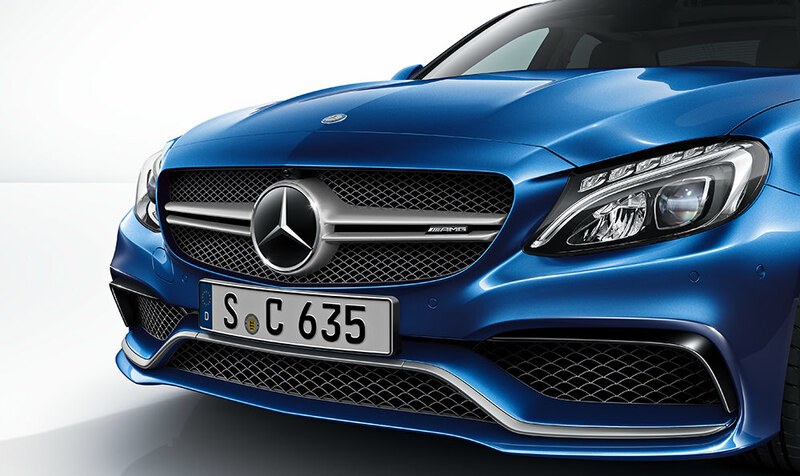 The 2014 Detroit Auto Show saw the launch of the new Mercedes-Benz C-Class, named the W205. It was available in sedan and station wagon configurations and was the first car to use a completely new Modular Rear Wheel Drive Architecture or MRA platform. The C-Class continues to be the smallest saloon car that Mercedes-Benz have in the market.Presently, in India the E63 AMG and CLA 45 AMG are for sale in the AMG saloon segment and will soon be joined by C63 AMG and the C63 AMG S.
Under the skin the new C-Class has a rebuilt new structure which is made significantly lighter through extensive use of aluminum, which means that 100 kg of extra weight has been shaved off. Mercedes-Benz also claim that the entire chassis is now stiffer giving it better handling than its rivals i.e. the BMW M3. The C63 AMG has a twin turbo 4.0 liter V8 engine that comes from AMG, the performance division of Mercedes-Benz and taken from the AMG-GT. It makes 476 bhp and 650 Nm of torque while revving to a maximum of 7000 rpm. All this power is transmitted via seven-speed AMG Speedshift gearbox which makes the C63 go from 0-100 kmph in 4.1 seconds and ultimately reach 250 kmph, which is electronically limited. If you do want to go faster AMG offers a optional Drivers Package that will make you top 290 kmph. Other additions include the AMG Ride Control sports suspension with three-stage adjustable dampers, dynamic engine mountings, an AMG speed-sensitive sports steering system that adjusts the feed according to the speed and ventilated perforated brake discs that are 360 mm at the front and 330 mm at the rear. 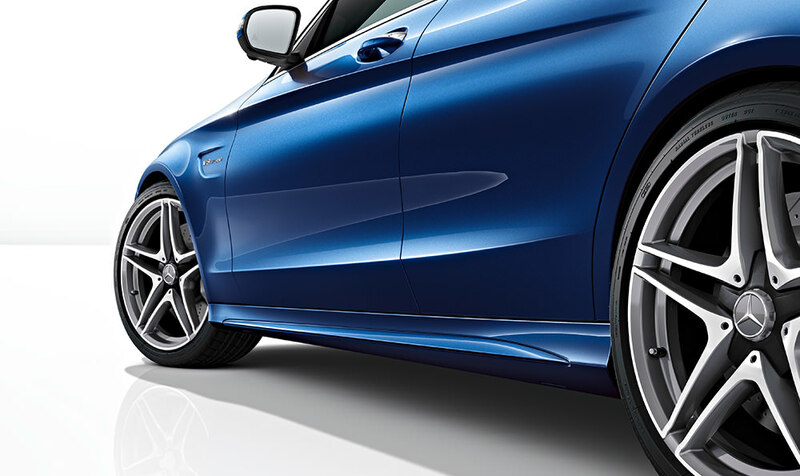 The C63 comes with dynamic engine mounts and the AMG Ride Control suspension as standard equipment. 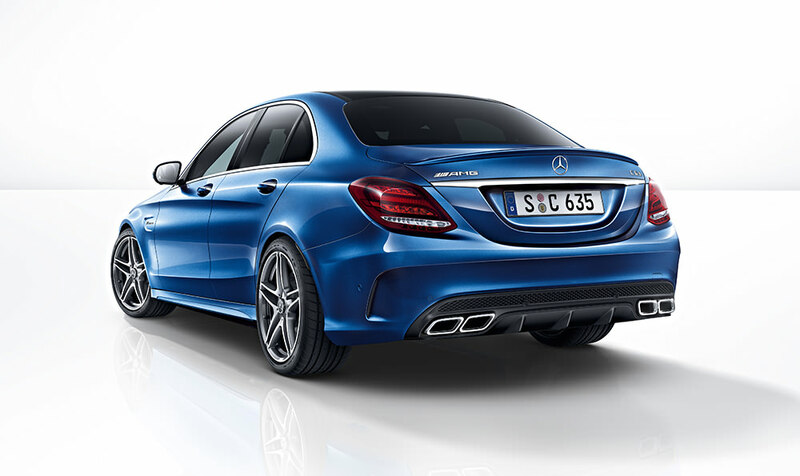 The C63 S comes with a V8 that produces 550 bhp with 700Nm of torque and will rev to 7000 rpm. 0-100 kmph time is just 4 seconds. All this power does have a downside with the fuel efficiency being just 9 kmpl at the minimum. On the exterior, the C63 has sportier bumpers, aerodynamic side skirts and a rear diffuser that is accompanied by a quad-exhaust, swollen hood(to accommodate the engine), AMG-branded grille and 18-inch alloy wheels. In the interior a flat-bottomed steering wheel, leather/microfiber sport seats, and stainless steel pedals. The dashboard wrapped in Aluminum trim, black headliner, AMG-designed instrument cluster, front door sill plate illumination and AMG-branded floor mats are the other highlights. Its bigger brother is a more aggressive looking car with glossy black accents on the front bumper. It is also equipped with composite brakes, 19-inch lightweight alloy wheels, dynamic engine mounts, an electronically locking rear differential and re tuned front and rear axles, making it the better of the two cars. 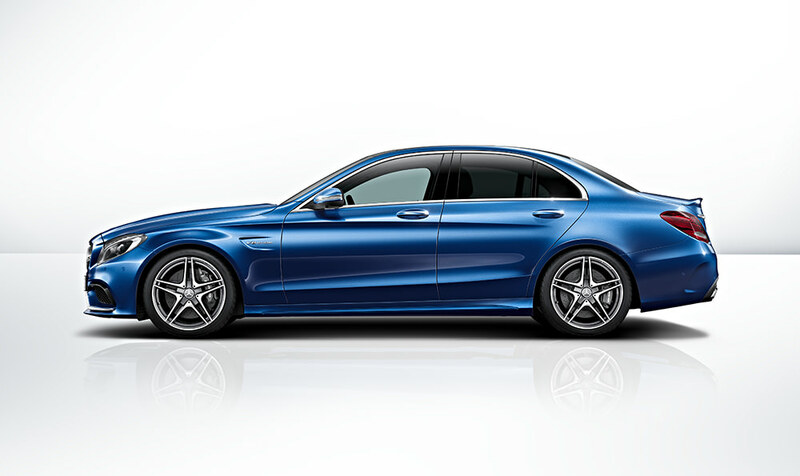 The C63 AMG S is slotted to arrive in the third quarter of the year via a Completely Built Unit or CBU like the M3. 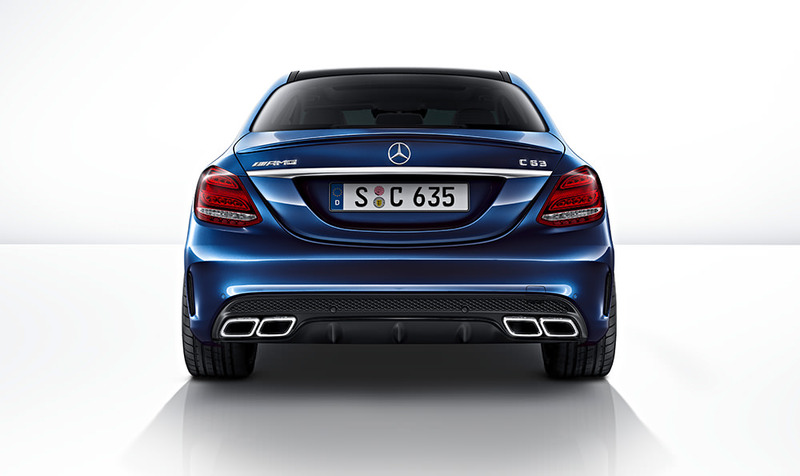 The C63 is expected to cost around 1.3 crores which is a lot of money, but for that you also get a lot of car. The C63 will be going head to head against the BMW M3 which is almost a perfect car with Super car like performance, good handling, comfortable seating and a decent boot with its only downside being the price. The M3 has a V6 engine that produces 431 bhp and 550Nm of torque, both in deficit of the C63. However the M3 is lighter than the C63 at 1.635 tons with the C63 being 1.7 tons. On paper, Mercedes-Benz have been able to make a good enough rival for the M3, but in the real world things may be different as the M3 has always triumphed the C63 and the RS5, and probably again will.